We all know that a night out clubbing is the best kind of feelgood exercise. Conversely, the dreadful music at most gyms can drive you to distraction, not endorphin nirvana. 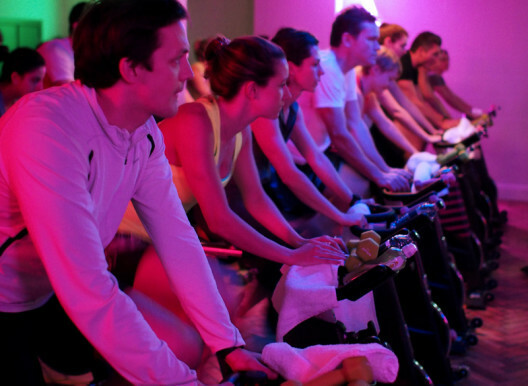 Want a dose of style hedonism with your health and a considered soundtrack to sweat to? 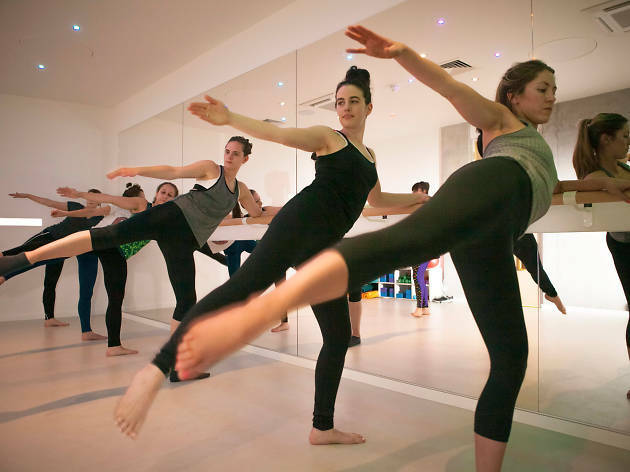 Here are the London fitness classes where music is integral to the workout. 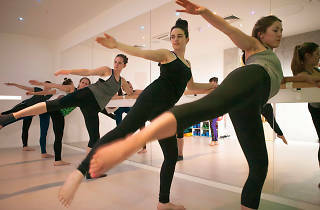 The moves: Disco Barre, as you might have guessed, is ballet barre in a low-lit dance studio with disco music pumping. 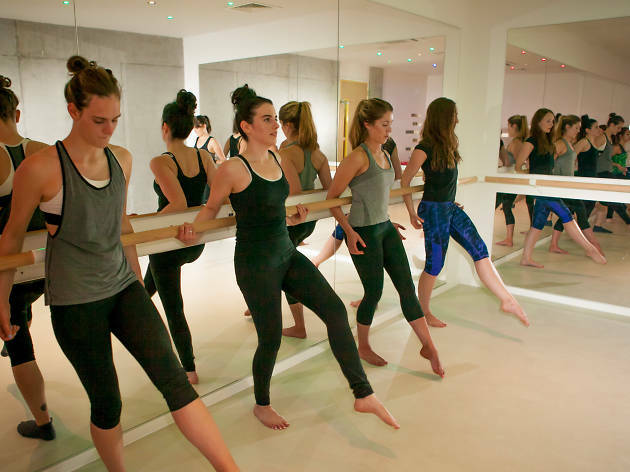 We start facing the barre with a series of leg raises, pulses and circles to work deep into our glutes and hamstrings. The floor work, including choreographed versions of oblique twists and buttock clenches, ignites your core. When I leave the class I’m walking taller, with that disco spirit in my soul. The music: Instructor Sophie Ritchie spends as much time researching the music as she does on the class, paying homage to the Paradise Garage dancefloor with her Larry Levan-inspired selections. It’s not strictly disco: there’s some early house, acid and ’80s soul in the mix too. ISTD2 Studios, EC1V 9NQ and The Refinery, E9 6SG. £14-£16. 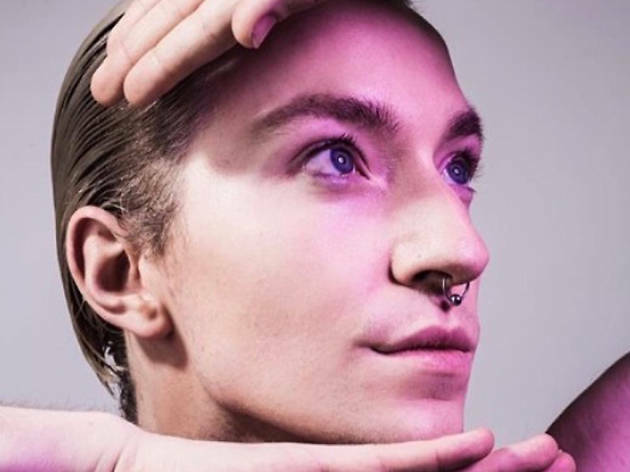 The moves: Benjamin Milan’s voguing class is based on the New York club dance which originated in the Harlem gay scene in the ’80s. The aim is to move elegantly like a supermodel and hold editorial-worthy poses in time with a stomping house beat. I learn to walk the runway with hand flicks, choreograph a floor section and fall flat on my arse attempting the duck walk. This class is not about ability but attitude. I’ll definitely be coming back. The music: Different tunes provide the speed, breaks or rhythm for the different styles of voguing. Old way is more ’80s and ’90s house while new way works best to tracks by MikeQ and other current vogue edits. Pineapple Dance Studios, WC2H 9JA. £7. The moves: Spinning has become a twenty-first-century fitness cult, but at Psycle you spin in the dark. As in a club, the dim lighting and loud music lets you lose your inhibitions and focus inward: no self-consciousness over sweat patches here. As the intense bursts of spinning reach their peak, the music intensifies and coloured lights pop across the room. This is a high-speed workout with a high-intensity soundtrack and I have never sweated so much in my life. The music: Each instructor selects a soundtrack to inspire their classes. Check out the Psycle London Spotify account to find a playlist that fits your taste. 76 Mortimer St, W1W 7SA and Unit 46, Level -2, E14 5LQ. £16.25-£20. 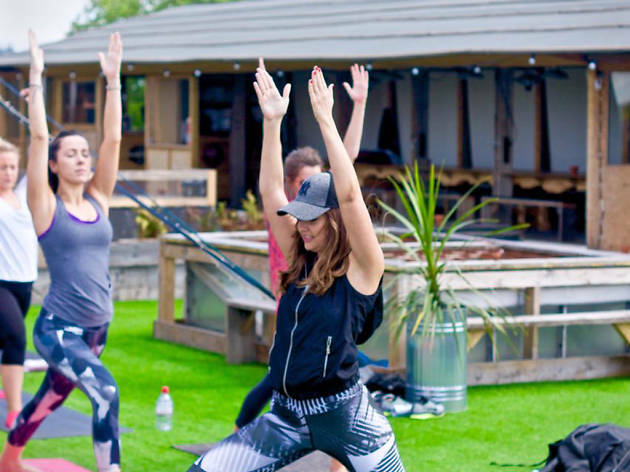 Kirsty Raynor is putting a new spin on an ancient discipline with Hip Hop Yoga: a vinyasa flow class with tunes from Jurassic 5 and Biggie Smalls. Where else can you downward dog to Snoop? Check the Pop-Up Practice site for upcoming dates. 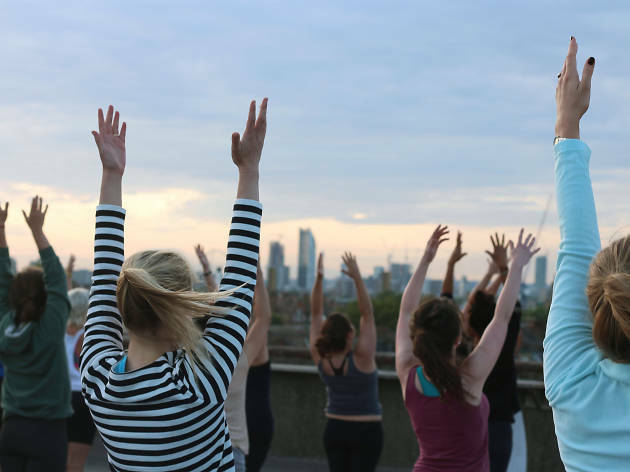 The Secret Yoga crew host wholesome evenings and daytime sessions at cool venues across London, with regular live performances by surprise musical guests plus a vegetarian feast. Check the Secret Yoga site for upcoming dates.